One of the tracks actually made the Billboard Hot 100. At the end of April, Kanye West capped off a disheartening week of embracing the alt-right with the release of two songs, the trolly "Lift Yourself" and the T.I. featuring "Ye vs. the People." 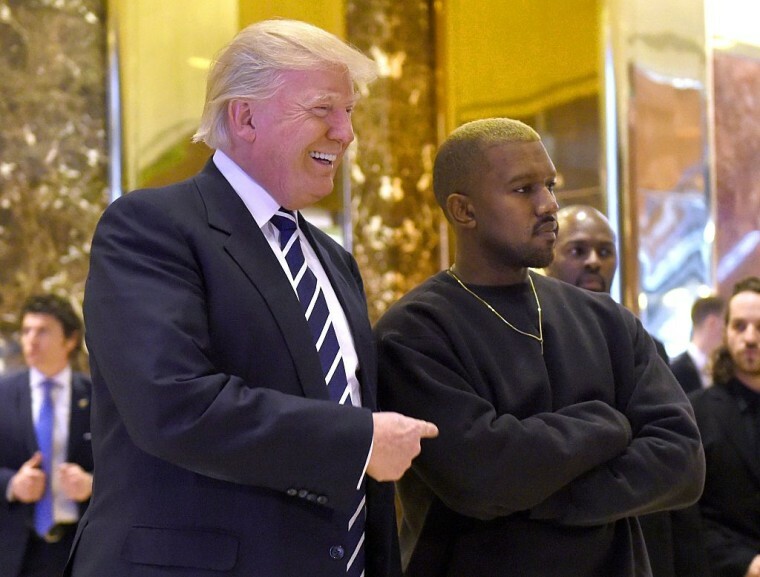 Apparently, the media storm around Kanye's allegiance with Donald Trump didn't translate to overwhelming interest in his music: according to Chart Data, first-week digital sales of "Lift Yourself" and "Ye vs. the People" were 4,000 and 12,000, respectively. That translates to a debut of No. 85 on the Billboard Hot 100 for "Ye vs. the People" and No. 5 on the Billboard Bubbling Under Hot 100 chart for "Lift Yourself." US digital sales: Lift Yourself, @kanyewest 4,000 (debut). Billboard Bubbling Under Hot 100: #5(new) Lift Yourself, @kanyewest. US digital sales: Ye vs. The People, @kanyewest Feat. @Tip 12,000 (debut). Billboard Hot 100: #85(new) Ye vs The People, @kanyewest Feat. @Tip. Meanwhile, Mason Ramsay (of Walmart yodelling fame) reportedly entered the Billboard Hot 100 at No. 62 with his debut single "Famous." "Lift Yourself" and "Ye vs. the People" likely aren't Kanye's comeback singles per se, but one-offs cast into the internet to keep the focus on his shifting and toxic politics. He's currently posted up in a resort in Wyoming to finish his upcoming projects, which include a solo album, his Kids See Ghosts collaboration with Kid Cudi, and production work on albums from Pusha T, Teyana Taylor, and Nas.